The balll is over for 'Cinderella', at least as far as her time in north Queensland is concerned. 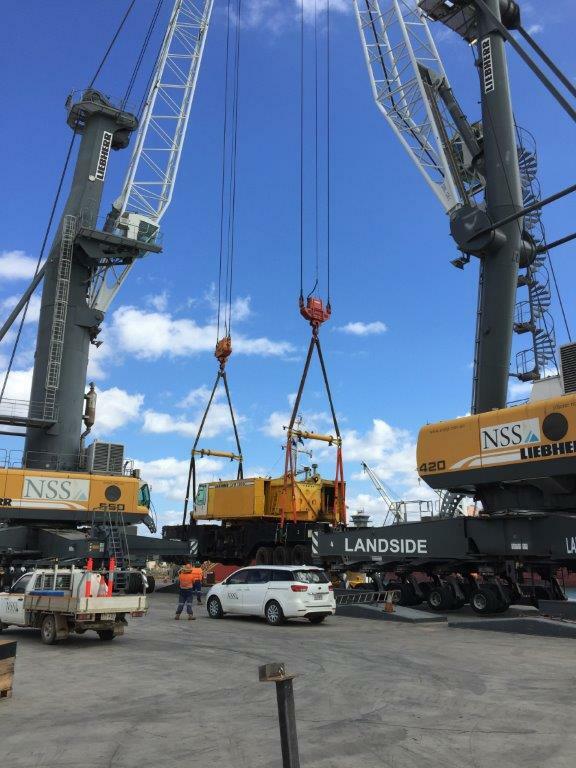 NSS's old mobile harbour crane was recently loaded to the Curtain Bros barge MV Giluwe bound for her new home in Motukea, PNG. NSS bought 'Cindy' in 2010, bringing an old friend with her to Townsville. Stevedore Albert Flesher was operating 'Cindy' for Port of Auckland back in the late 1990s. He also got a job with her when the crane was purchased by a company in Melbourne in the early 2000s and was hired/leased to Australian National Stevedores (a division of ANL). When Cinderella made her way to Townsville, Mr Flesher was engaged to train local staff and was subsequently offered a job.